Home office desk. 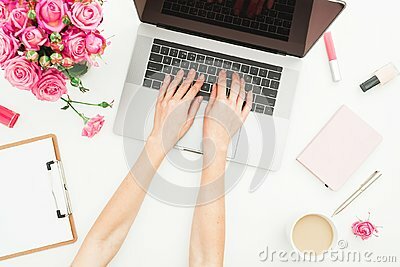 Woman workspace with female hands, laptop, pink roses bouquet, accessories, diary on white. Top view. Flat lay.